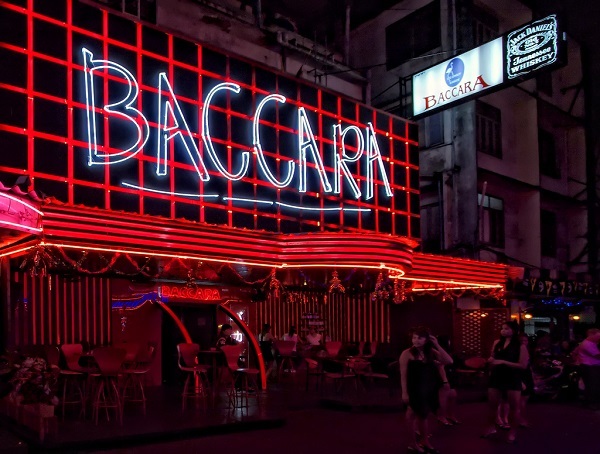 Baccara Bar on Soi Cowboy, Bangkok: The Art of Seduction or the Art of the Deal? Last Friday pulp fiction writer, James A. Newman, Bangkok Night of Noir photographer and videographer, Alasdair McLeod and I were granted access to Baccara Bar on Soi Cowboy in Bangkok, Thailand for the purpose of photographing the art of Chris Coles and hanging out with the artist during our time there. Four paintings were recently purchased by the owner, a Frenchman named Patrick. Patrick gave us just one caveat, “No photographing the girls”. We complied. In addition to owning Baccara, which most consider to be the premier Go Go bar on Soi Cowboy and all of Bangkok, he also owns the former Insomnia Disco (now called Insanity), Bangkok Beat, Baccara A-Go Go on Walking Street, as well as 4 other popular venues in Pattaya City. 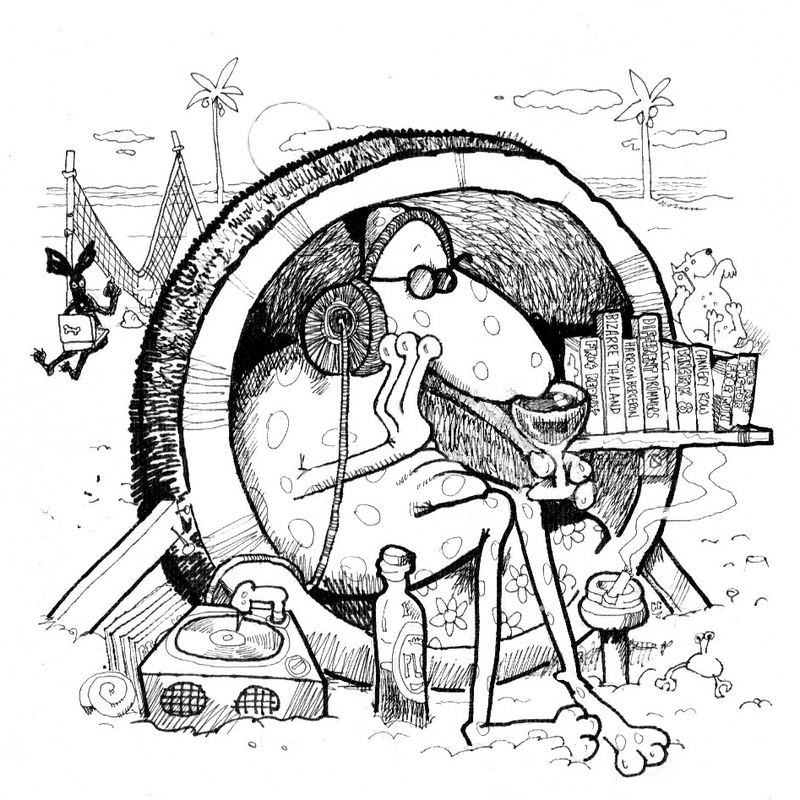 Patrick is the exception to the expat bar-owner scene. As Bangkok 8 author John Burdett recently pointed out in an excellent video interview, prostitution in Bangkok benefits from being illegal. It remains by and large a cottage industry, run much like a Mom and Pop store. Baccara and Patrick run things quite differently in the Kingdom. He would be the equivalent to the mansion on the hill owner. Baccara sees roughly 1,000 people go in and out their doors, most every night of the year. The numbers add up. Patrick is creative. In a big way. Paying attention to lighting, layout, costumes, audio system, the rules of engagement or what I would call, the art of the deal. 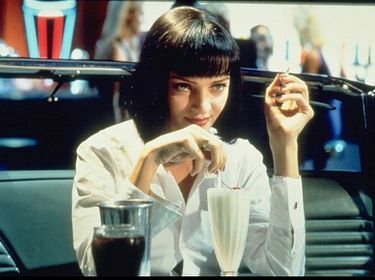 The women earn large monthly pay. Baht 200,000 a month and up for the elites. That is more money in one month than their father’s, if they come from Issan, make in years. Patrick is a collector of Chris Coles’ paintings. The businessman showcases the original paintings depicting the Bangkok nightlife, along with 200+ dancing girls every night, at Baccara. Baccara a Go Go has distinguished itself from the crowd. High season or low season, the good times roll every night at Baccara, for a price. Great post. Can’t wait for the rest of this piece.